One of the world’s leading private philanthropic organizations, the Stavros Niarchos Foundation provides grants to nonprofit organizations in the arts and culture, education, health and sports, and social welfare. Since 1996, the SNF has committed more than €2.6 billion through more than 4,300 grants to nonprofit organizations in 124 countries around the world. The SNF supports organizations and programs worldwide expected to have a significant, lasting positive impact for society at large and exhibit strong leadership and good governance. The Foundation also supports programs that facilitate the formation of public and private partnerships as an effective means for serving public welfare. The SNFCC is the Stavros Niarchos Foundation’s largest single donation. Total project cost exceeded 630$ million. The project was delivered by the SNF to the Greek state on 23 February 2017. 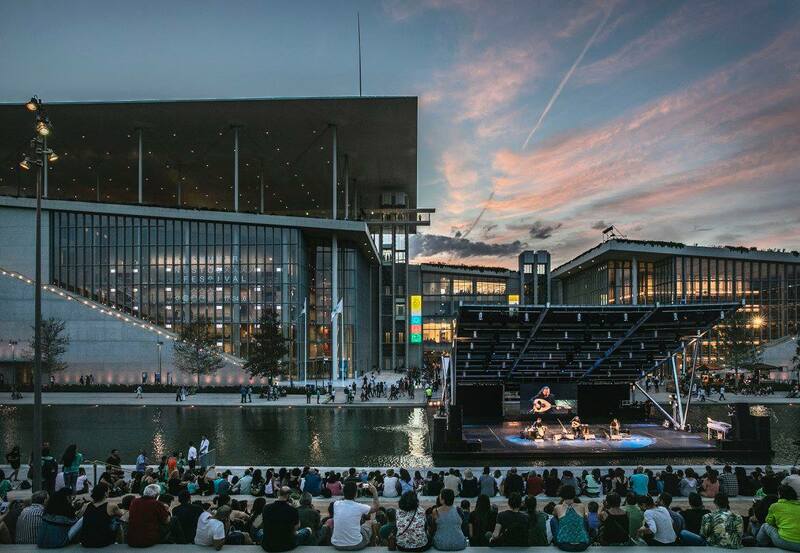 After delivering the SNFCC to the Greek State, the SNF announced its commitment to continue supporting it for five years with grants summing up to €50 million for the implementation of free public events as well as for its day to day operation; furthermore, it continues funding the organizations residing in its premises: the National Library of Greece and the Greek National Opera. In addition to being the visionary, creator, and donor of the Stavros Niarchos Foundation Cultural Center (SNFCC), the Stavros Niarchos Foundation (SNF) is also an invaluable collaborator across multiple activities, as well as an events organizer at the SNFCC premises. Also, the SNF continued supporting the SNFCC Membership Program during 2017. The Membership Program was inaugurated in June 2016, when 42,000 Members were registered with the subscription fees being covered through an SNF exclusive grant. Finally, through its Recharging the Youth initiative, the SNF offers to young people aged 18-35 paid internship positions at the SNFCC, the GNO, and the NLG. SUMMER NOSTOS FESTIVAL: An international multifaceted arts, sports, and education festival. The SNF has a standing appointment at the SNFCC premises each June, stemming from its social responsibility as well as its ongoing support to the Stavros Niarchos Foundation Cultural Center. Every year, it organizes and funds the Summer Nostos Festival events and activities in their entirety. In 2017, from 18 to 25 June, more than 171,000 visitors, 413 Greek and international artists, 4,500 runners, over 75 unique events, 5 stages and a variety of locations for games and sports, all met during this iconic, open and free to all, summer festival. The 2018 edition took place between 17-24 June. 186.000 visitors shared unique moments in this multidisciplinary festival, which is open to all, free and has something in store for everyone. 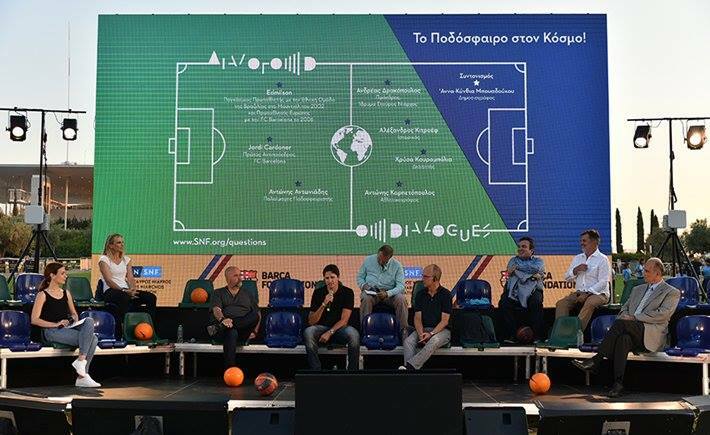 In 2012, the Stavros Niarchos Foundation launched the Annual SNF International Conference on Philanthropy which has taken place ever since every June in Greece. The conference has brought together internationally renowned speakers from the fields of academia and science, as well as representatives of other foundations and institutions. The aim of the conference has been to present best practices and become the ground for the exchange of ideas and discussion on the developments within the wider field of philanthropy. Each year’s theme has varied depending on current challenges, keeping at its core the four program areas of the Foundation: Arts and Culture, Education, Health and Sports, and Social Welfare. The conference is addressed to representatives of other foundations, nonprofit organizations, and institutions, as well as to all those who are interested in the role of philanthropy and social giving. Over the past seven years, the conference has debated and examined a variety of critical topics, such as the economic crisis, the emergence of a social welfare society, ethics, the significance of creative assets, sustainability, the local and global consequences of the refugee crisis, the importance of ethical public spaces, the impact of polarization, and disruption. Since 2017 the SNF Conference is organized as part of the Summer Nostos Festival at the Stavros Niarchos Foundation Cultural Center. In 2019, the SNF Conference will take place for two full days from June 24th to June 25th. The theme of the 2019 SNF Conference is [Untitled]. In addition to the conference, on June 26th, 2019, Johns Hopkins University will co-organize the 2nd SNF Agora Institute Workshop as part of SNF’s monthly DIALOGUES series. On 8 November 2017, the Stavros Niarchos Foundation initiated its monthly series of events entitled DIALOGUES, oftentimes hosted at the SNFCC premises. DIALOGUES delve into different themes that cut across the key pillars of the SNF’s work: Arts and Culture, Education, Health and Sports, and Social Welfare. Through this series of events, which are free and open to all, the SNF seeks to catalyze conversations around critical issues, create a platform for the exchange of ideas, present individuals who inspire a new way of thinking, and encourage collaboration among individuals and organizations across the globe. The SNF RUN races are organized and funded exclusively by the Stavros Niarchos Foundation, under the supervision of the Regeneration & Progress NGO, in collaboration with the SNFCC, and the Hellenic Olympic Committee. The SNF RUN is not competitive but focuses on rewarding participation and effort and reinforcing sports culture. To date, the SNF RUN: RUNNING INTO THE FUTURE has been organized four times (2015, 2016, 2017, 2018) and the SNF RUN: FIRST RUN three times (31/12/2016, 31/12/2017, 31/12/2018).